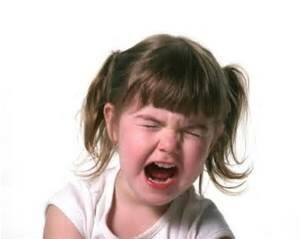 No matter how embarrassed you may be, never give in to the tantrum – or your child learns that the tantrum works! If you say, “I’ll give you a treat if you get quiet,” or “All right, I’ll get you one this time!” your child has learned how to push your buttons. Be firm and don’t give in , even if you have to leave the scene with your child. Make sure your child gets rest and exercise. Let your child know about changes or special events before they happen. If children know what to expect, they feel less stress. Tell him what you expect when going to a shop or restaurant. Warn them and give them some time before they must change activities/transitions (go to bed, come inside). Be sensitive to your child’s feelings. At special events (a new baby, another person’s birthday) spend extra time with him. Watch for early signs of anger and take action. Don’t expect too much from your child. For example, sharing is very hard for young children. Try not to show any expression. Try not to respond. If you are at home, leave the room for a few moments (if your child is not hurting themselves or others). Stay where you can hear them. Use “time-out” if you need to. Use one minute per year of your child’s age. (2 minutes for a 2-year-old). Let them come out when they are calm. If they’re not calm, the time begins again. If your child has a tantrum in public, pick her up and carry her to a private place or to the car. Make it clear you will not go back until she is calm.